Claire Seneviratne - Ceramic Artist: Porcelain ring with gold and green. 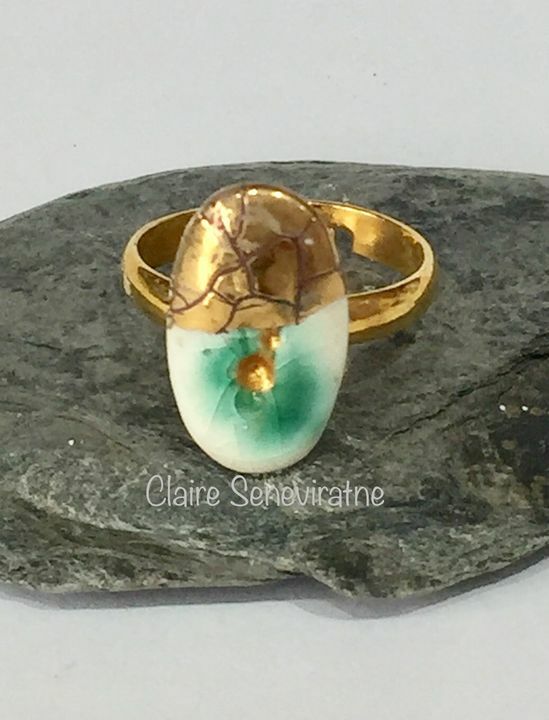 Porcelain ring with gold and green. Height of the stone is 1.8cm.